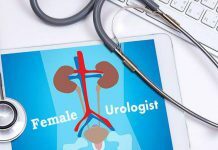 Do you know about Hematuria (Bleeding in women’s urine)? Hematuria (blood while urination) is the serious medical term which can be a symptom of many fatal health risks you are having in your body. Due to some sickness in your urinary tract system or in your kidney blood cells leaks in your urine and passes out while urination. Live chat with us for further assistance and to ask queries about Bleeding in urine Treatment Lahore. We have all the expertise and skillful staff at ZhongBa hospital to give you the comprehensive care and treatments with latest Chinese techniques to give you the best Blood in urine treatment in Lahore. Make an appointment with our very experienced Chinese Urologist Dr. Goufen Liu for Blood in urine treatment in Lahore. She will treat your ailments through traditional Chinese herbal medicines and with latest Chinese technology at Zhongba hospital. What can be the reason of Hematuria? There a number of reasons and factors which causes this sickness of Bleeding in women’s urine. The major cause of bleeding is when your bladder has abnormally overgrown bacteria enters your body via the urethra. Kidney stones, kidney infections, or any injury in your body can also cause the hematuria. The frequent urge for urination. Sensitivity and inflammation while passing urine. Intense pressure on your bladder. Pain in your abdominal area. How to fix your appointment with our Chinese urologist? If you want to make your appointment at our hospital for Bleeding in women’s urine infection then you have to call us first our staff will assign you an appointment code. All the consultations are streamed lined according to your availability and on the medical need of the patient.